Thank you for your encouraging words. I was amazed myself when I found out it was my alter, Holdon, who came up with the plan of how to integrate all the different parts of myself. I believe Holdon knew how to do this because of all he learned through our many years in therapy with Dr. Baer. My therapy succeeded because Dr. Baer was consistent in his treatment with all of my alters. I admit my journey to heal was difficult, but I couldn’t have done it alone. I needed someone to teach me discipline, commitment, and all that I lacked in order not to end my life. I needed to feel safe. I chose Dr. Baer because he exuded confidence. Dr. Baer accepted me, as I was, from day one. He never once bragged or boasted about himself, he was always on time, and never once left me feeling he was better than I. During the therapeutic years of our relationship, I fed off of Dr. Baer’s strength. He appeared to know who he was, what he was doing, and gave me all that I needed to start and continue to heal. I never felt he thought highly of himself. And he certainly never intruded his ego into our therapeutic relationship. If I had thought he was full of himself, we wouldn’t have worked well together. This is more discussion than question so please don’t feel you need to post this. I have continued to have mental conversations with you so here I divulge some more. Thank you so much for your thorough and thoughtful reply to my question and comments last week. In addition to Gloria’s question, I’d like to add that Dr Baer never once appeared egotistical throughout the book to me. I was constantly impressed by his selflessness, through a marriage breakdown even and several carreer turns, caring continually for you and addressing your needs as a professional. Dr Baer was clearly keeping you alive with the help of certain alters, despite the efforts of Miles, Jensen, Karl and others who were “protecting” you in their own ways and aiming always to end your life. What a mass of contradictions. It seemed that Dr Baer’s confidence was exactly what the children inside needed in order to be disarmed and feel safe, and he provided the right partnership for Holdon and Katherine for their work too. Taking on a writer’s identity for someone who is used to writing little more than clinical notes must have been some task for Dr Baer and he admits help and thanks in this area, so perhaps the criticism is a stylistic one. In his boots, such a situation as yours would have been exciting and illuminating professionally, but at the same time sad and heartbreaking which he admitted he was not immune to feeling. He really was your perfect doctor, and you, the perfect patient, who had the wisdom to heal herself after finding the right partner for the task. There are so many things I’d love to talk about with you. In regard to the downright evil in your childhood world, massive congratulations on the buck stopping with you, the adult you. You strike me as immensely intelligent, not only for the creation of the system but for the choices towards goodness that you continually made throughout your childhood and adolescence and the way in which you healed as an adult. Your alters turn out to be all good. It appears that Karen 2 saved your own children from any further abuse patterns continuing – an amazing outcome considering how few people ever deal with their pain in constructive, positive ways. Your father barely needs mentioning in this regard. Did you ever wonder how your parents and grandparents could have sustained and maintained such evil things? Such a religious word, evil, but I find it hard to describe their action (and inaction) any other way. It is mind boggling that there can even be a secret society of adults who crave to torture children, sexual or otherwise. The parts about ritual abuse in the book make me wonder, is all torture somehow sexual? Is it men who do evil things and girls who suffer? If you were born a boy, would you have escaped this abuse, and if not, would you have healed at all? Is your femininity, a female brain, what saved you in the end? You ought to feel so proud at how you managed to spare your children from your own history and created a safe world for them as far as you possibly could, although I imagine your beatings from ex husband scared them, and various alters confused them. I hope it makes sense to them now. I have to admit that reading your story, I couldn’t help but read as a mother, a relatively new identity for me, at 39 years of age, and the protectiveness I felt for you was immense, no doubt transfered or shared protectiveness of my own children for you and all children who could suffer without grown ups knowing. An horrific thought. Forgive me for the length of this email! I’m not going to take up much more of your time but, in your last reply to me, I was really happy to hear how you have been discovering life anew, as just you, and the things that you’d like to do now. If ever you wish to travel to Australia, please eel free to let me know. I live in Sydney with my partner (a U.S refugee, ha ha) and our 3 children. One is called Miles, my feisty 2 year old boy who is a bit like your Miles, appearing fearless, but a big softie on the inside. We have space for guests and I instinctively trust you as someone I’d love to know better. Sydney is a great place to visit, and a good point from which to see other parts of the country. Take care, and I apologise in advance if any of the above is awkward or inappropriate. The last thing I would want is to raise hurtful issues. You’re amazing, an inspiration! Thank you for writing again. I appreciate you sharing that you hadn’t seen Dr. Baer as being egotistical throughout the book. I didn’t see him as egotistical–just describing certain facts so that the reader could visualize who he was. Dr. Baer was selfless during our therapeutic relationship. I wasn’t easy to treat. How he managed to keep his emotions intact during his divorce and other life experiences proves that he was an excellent psychiatrist. We were an exhausting bunch. 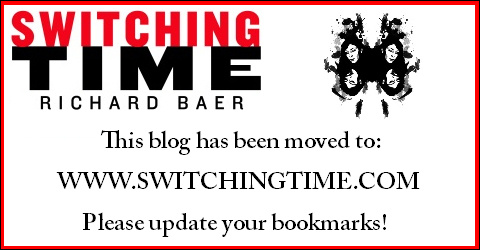 Not only did Dr. Baer spend session time with me, he spent many hours of his own personal time between sessions doing his best to figure out every next step needed to treat each alter individually. Taking care of me was more like taking care of seventeen different patients, and keeping seventeen different patient relationship’s straight. I always believed Dr. Baer was God-sent and meant to be the one to help me.